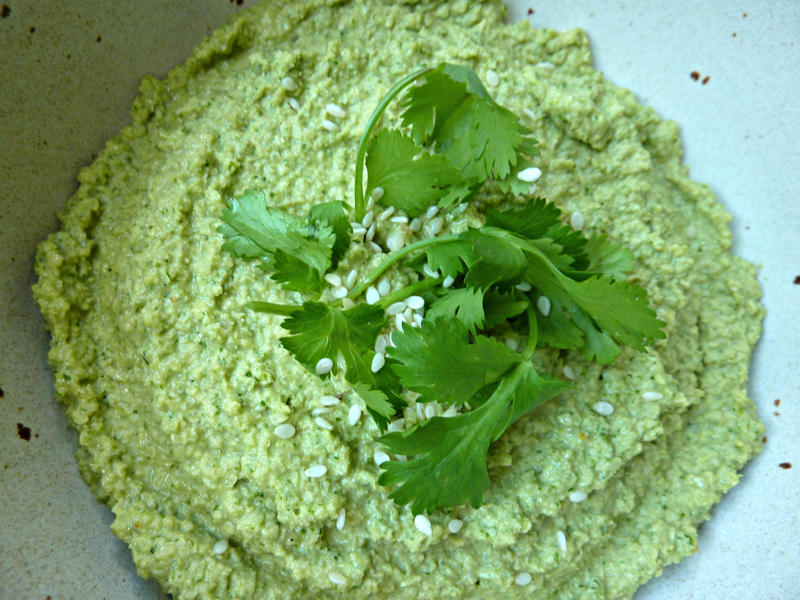 This dip was inspired by an offering from my favorite Astoria restaurant, Mezze Place. This family owned and operated spot cooks up dee-LISH Mediterranean fare in a romantic café atmosphere. I love the owners and order their grilled halloumi salad with beets and quinoa on an all too frequent basis… But I digress. 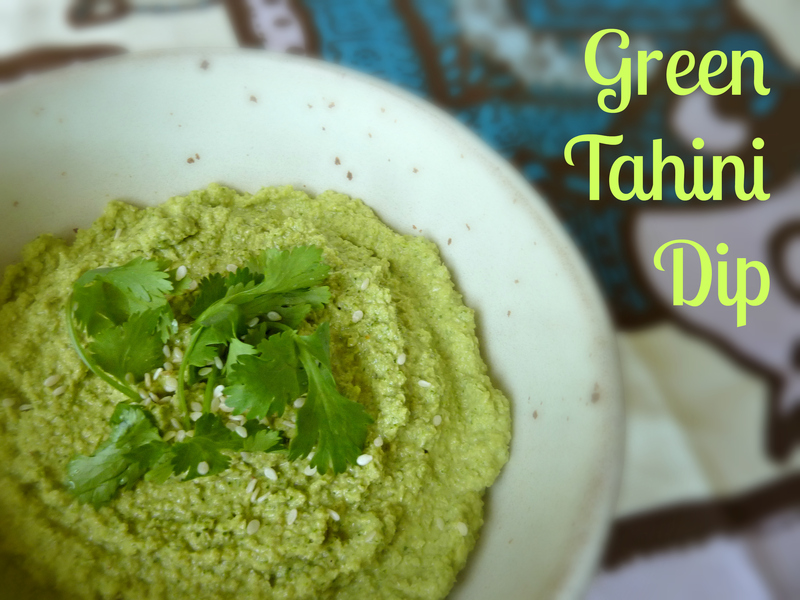 Among their to-die-for spreads is the “green tahini,” a creamy, dreamy dip featuring cilantro and sesame, served with fresh baked pita and house made tapenade. I created my version on the fly, so it’s pretty different, but no less delicious. 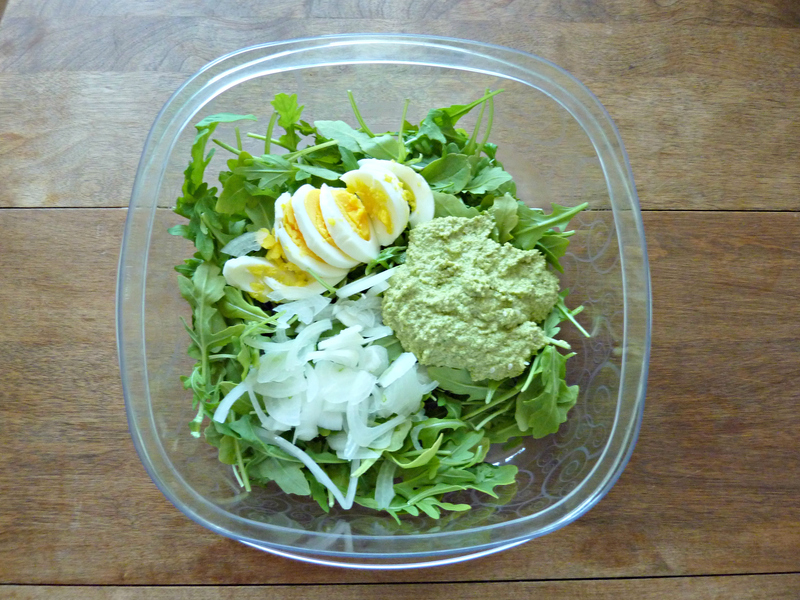 It stays true to the two main flavors in a format that is vegan and very easy to make raw! 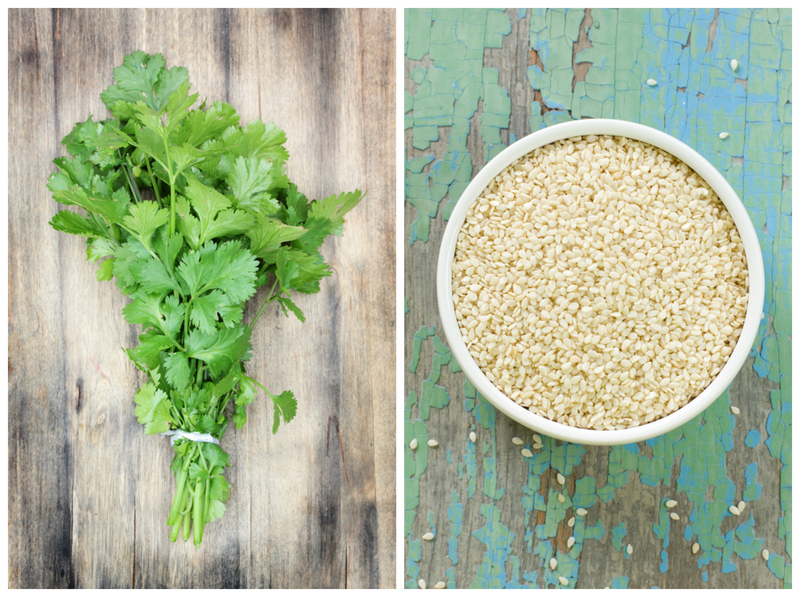 What’s so great about sesame seeds? Well, they can help burn fat by activating liver enzymes that break down fatty acids. They also reduce cholesterol in the blood and the liver. They’re rich in minerals such as iron, magnesium, and potassium, and they pack more protein than any other nut or seed. Though very high in calcium, sesame seeds also contain oxalic acid, which makes the calcium less bioavailable. No biggie – I’ll take the high protein and the ability to burn fat, thank you very much. 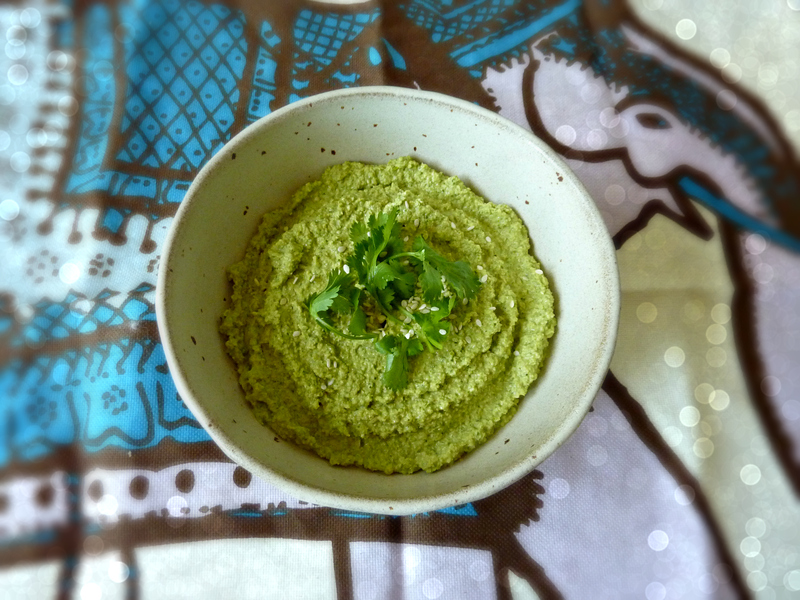 I love any recipe that calls for just two steps: toss it in the food processor, and turn it on. This is one of those recipes. And I am not kidding – the flavor is out of this world! Eat it as a dip with whole wheat pita, seedy crackers, savory mochi, or fresh veggies; spread it on whole grain bread for a seriously scrumptious sandwich; or add a scoop to a simple salad. 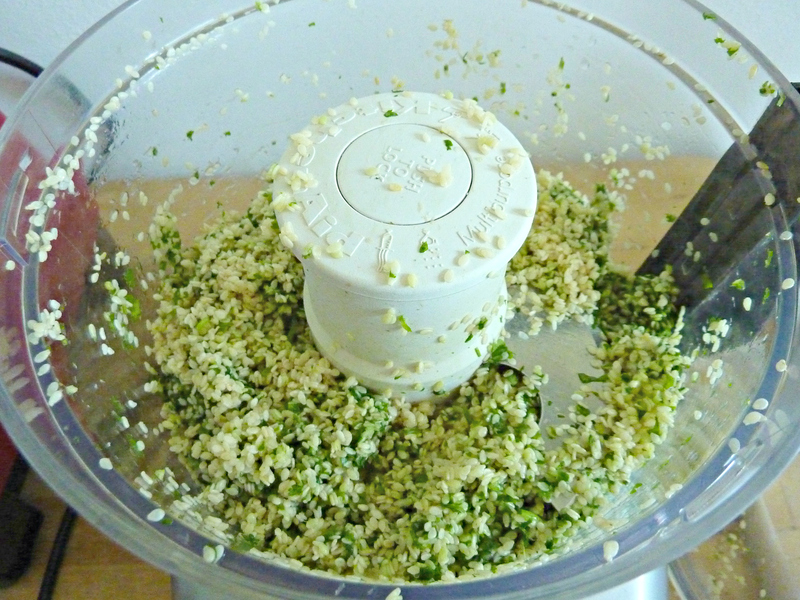 Toss all the ingredients into a food processor. Pulse the mixture at first, and then blend at the highest speed for upwards of 15 minutes, or until you’ve reached your desired smoothness. I took a few breaks to scrape down the sides and give the motor a rest. *Be careful if you’re substituting wheat free tamari or Bragg’s liquid aminos for the coconut aminos, because I find them to be much more salty. The coconut aminos offer a sweet tang that really adds great dimension to this dip.